Us humans are always trying to relate our own parameters of understanding to other things in the world around us and they don’t always fit comfortably. It’s only natural that we’d wonder how old our beloved dogs are in human years. However, it’s not necessarily an exact science. For years, the common equation was seven human years for every one dog year. The more you think about it, however, the less it fits. Of course, it’s only ever going to be an estimation, because dogs are dogs, not humans, and they age differently to us. 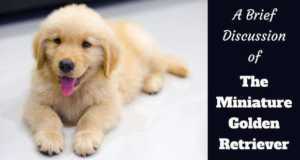 But, experts have come up with a different and more accurate way of calculating a dog’s age in human years. 1 Is One Dog Year Equal To Seven Human Years? 2 How Do You More Accurately Calculate Your Dog’s Age In Human Years? 3 How Do Researchers Come Up With These Numbers? 4 Why Is Aging Accelerated In The First Couple Of Years? 5 Why Do Small Dogs Age Slower Than Large Dogs? 6 What Other Factors Affect Aging In Dogs? 7 Can You Do Anything To Slow Your Dog’s Aging? 8 How Can You Figure Out The Approximate Age Of A Dog? The equation of one dog year to seven human years makes sense on the surface. However, the more you analyze it, the less it fits. If a dog lives to 12 years old, that would equal 84 in human years (if you allow seven human years per one dog year), which sounds fairly reasonable. However, if you look at a young dog of one year old, they are capable of reproducing (although it’s not safe or fair to breed a dog at this age) and are more or less at their full adult height and weight, depending on the breed. The same can’t be said for a seven-year-old human, so this is where the theory falls down. If you look at the other end of the spectrum, things don’t make sense here, either. The world’s oldest dog lived to 29. That’s 203 in human years. Though this is an extreme example, and most dogs live far fewer years, the oldest humans ever haven’t approached anywhere near 200. When you think about it in this way, it’s clear that it’s not accurate to say one dog year is equal to seven human years. By that logic, we’d regularly see people live to 130 or 140 years old, which is obviously not the case! How Do You More Accurately Calculate Your Dog’s Age In Human Years? Unfortunately, there’s no way of calculating a dog’s age in human years that’s as simple as the above equation. However, experts have come up with estimations of dogs ages in human years, which the AKC has put in this handy chart. These estimations are based on existing data and research, but don’t result in an easy-to-follow equation, like multiplying your dog’s age by seven. Looking at the chart, you’ll see that your dog’s age in human years varies depending on the dog’s size. 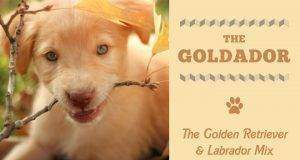 The average weight of a golden retriever should be between 55 and 75 pounds. So, all you golden-owners should be looking in the large breed column to find your pup’s human age. The other thing you might notice is that dogs age much quicker in the first two years of life than they do later. By the time a dog reaches one, they’re the equivalent of 15 in human years. At two they’re the equivalent of a 24-year-old human. After this, aging slows, and dogs age around five human years for every dog year. Although, this number varies from year to year. It might not be a simple equation you can do in your head, but this chart is a much more accurate way of converting your dog’s age into human years. How Do Researchers Come Up With These Numbers? The basis for these figures comes from the American Veterinary Medical Association. 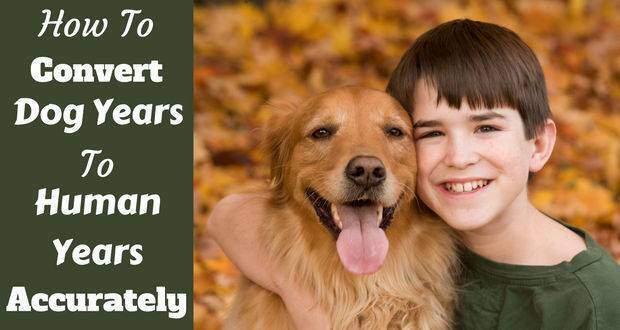 There hasn’t been specific research done just to calculate dog years into human years. Instead, these numbers are based on existing statistics and what we already know about aging in dogs. It’s already widely accepted that, on average, small dogs live longer than larger dogs. Therefore, it’s safe to assume that larger dogs age faster in comparison to smaller dogs. Experts have also done meta-analyses of data and statistics to arrive at these conclusions. According to the AKC, the main sources of these statistics are veterinary hospitals, pet insurance companies and surveys from breed clubs. Why Is Aging Accelerated In The First Couple Of Years? 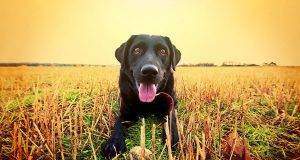 Dogs, like most non-human animals, reach maturity much faster than humans do, even taking into account differences in lifespan. There are many potential reasons for this, but even experts in the field don’t seem to be 100 percent clear. That said, some likely explanations are linked to evolution and physiology. Fully mature humans have large brains which take a long time to grow to their full size when compared to those of dogs. This means humans aren’t capable of reaching a mature adult state as quickly as canines and most other animals. Human babies and children also stay with their parents for a long time (usually 18 years at the very least!) whereas dogs’ wild ancestors would have had to leave their parents and fend for themselves much sooner. Therefore, maturing early would be an essential evolutionary trait for survival. Why Do Small Dogs Age Slower Than Large Dogs? This is a question that has baffled scientists in the field because, elsewhere in nature, larger mammals tend to have longer lifespans than smaller ones. It’s certainly true, however, that larger dogs tend to have shorter average lifespans than their smaller counterparts. For instance, a toy poodle lives for an average of 14 years whereas a golden retriever lives for roughly 10 to 12 years and a great Dane lives for an average of just seven. Researchers aren’t entirely sure whether larger dogs age more quickly than smaller dogs or they start to age earlier, which leads to them suffering age-related problems sooner. However, research from Cornelia Kraus at the University of Gottingen suggests that the former hypothesis is correct and bigger dogs simply age more quickly. The reason for this hasn’t yet been proven but, according to Inside Science, it’s possible that larger dogs age more quickly because they have larger amounts of a growth hormone known as IGF-1 in their bloodstream. This hormone has already been linked to increased risk of death from cancer, heart disease, and other age-related diseases in humans and other animals. Therefore, it follows that it could be causing decreased longevity in larger dogs. Another factor is that larger dogs appear to have a greater base rate of mortality. This means, at any given point in their lives, larger dogs are more likely to die than smaller dogs. For instance, large dogs have about 50 percent chance of dying of cancer, compared to about 10 percent in small dogs. If large dogs are more likely to die of a range of diseases, this would bring their average lifespan down lower than smaller dogs. 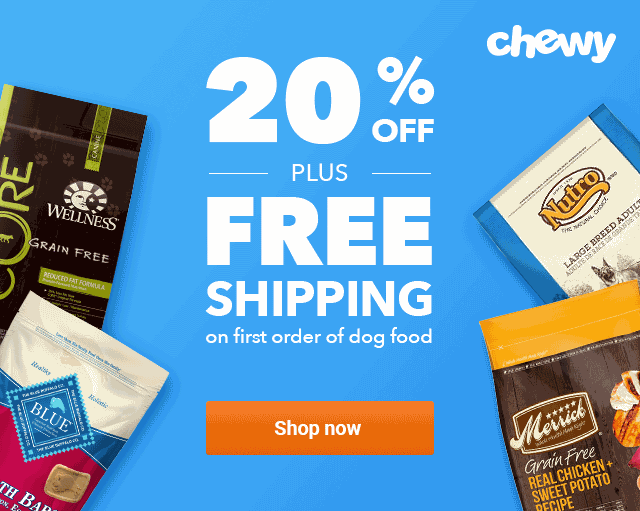 What Other Factors Affect Aging In Dogs? There are other factors, as well as size, that may affect aging in dogs. The AKC Canine Health Foundation believes that aging is likely to have a genetic component. They also believe it may be linked to oxidative stress. However, research is still ongoing as to how genes and oxidative stress affect the aging process. Although not necessarily linked to aging as such, having your dog spayed or neutered can increase their lifespan. It increases by up to 10 percent in neutered males and 17 percent in spayed females. It’s not just physical aging that can cause problems for dogs, either. Just like humans, aging dogs can suffer from decreased cognitive function. The best way to avoid this is to make sure your dog continues to have plenty of mental stimulation as they age. For instance, puzzle games and trick training sessions. It’s also important to make sure your dog continues to see new people and go to new places. This will help to keep their brain active and healthy. Can You Do Anything To Slow Your Dog’s Aging? At present, you can’t decrease the speed of the aging process in dogs. Although, there is currently a drug in the testing phase called Rapamycin, which claims to slow down aging in dogs (and humans). In the meantime, you might not be able to slow aging, but there are things you can do to help ensure that your dog lives to a good age. Keeping your dog at a healthy weight. Feeding a good quality food. 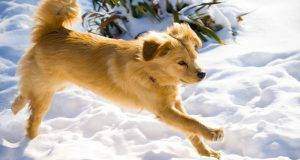 Making sure your dog gets aerobic exercise every day. Taking your dog for yearly or twice-yearly check ups with the vet to look for any health problems. Getting any lumps and bumps checked out promptly. These might seem obvious to you, but sadly they aren’t to everyone. Keeping your dog in as good health as possible will increase their chance of living to a grand old age. How Can You Figure Out The Approximate Age Of A Dog? If you rescue a dog, you might not know how old they are. 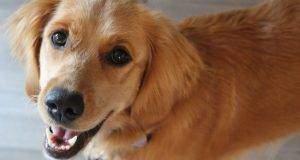 Shelters and rescue centers will do their best to age dogs accurately, but there might be situations where is hasn’t occurred. You could understandably be concerned by this. It’s natural to want to know how many more years you might expect to have with your four-legged friend. Not to mention, senior dogs may need extra care and attention which you won’t know to give if you don’t know their age. Although you’re never going to be able to tell a dog’s exact age by examining them, you should be able to get an approximate idea. By 8 weeks: All baby teeth are now in. By 7 months: A dog of this age will have all their adult teeth, which will be noticeably shiny and white. At 1 to 2 years: The teeth are now a duller white and those at the back may have some yellowing. From 3 to 5 years: There will be some amount of tartar buildup on all teeth and they may be slightly worn down. At 5 to 10 years: The teeth will be even more worn and there may be some signs of gum disease. At 10 to 15 years: Teeth will now be significantly worn and it’s likely that all teeth will have a lot of tartar buildup. It’s not unusual for some teeth to be missing. If you want a more accurate idea of a dog’s age, talk to your vet. They can complete a physical exam to help determine the dog’s age. A vet can also perform various tests looking at bones, joints, muscles and internal organs that can help here. Now you know that the old method of multiplying your dog’s age by seven to get their age in human years is incorrect, you may have to recalculate your pup’s human age. This method is less straight-forward to work out, but it’s far more accurate. Plus, once you’ve seen the chart, you can tell right away what your dog’s age in human years is. By this point, you should also know a little bit more about why some dogs live longer than others. As well as why dogs age differently from the way us humans do. It’s sad that we can’t do anything right now about the rate at which different dog’s age. However, with the information in the article, you can help improve the chances of your dog living as long as possible.